International exhibition Health&Medical Tourism will be held at the International Convention & Exhibition Centre EXPOFORUM, one of Europe's most cutting-edge venues for business and cultural events of any size or format. Free busses will run from the metro station "Moskovskaya" during the exhibition every 30 minutes form 09.00 to 18.00. 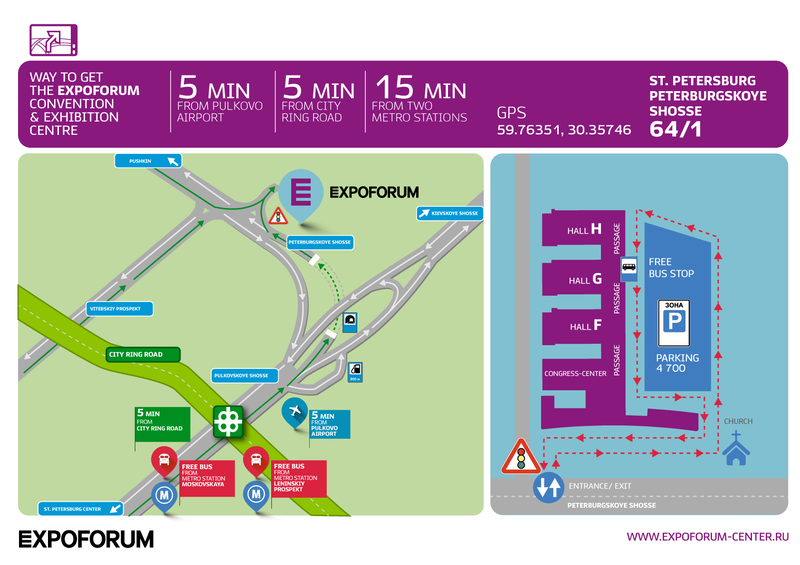 You can also get to EXPOFORUM from "Moskovskaya" metro station by bus №187A, 187 or fixed-route taxi №К-545 and №К-299. PRIMEXPO / ITE St. Petersburg, part of the ITE Group – organiser of leading international exhibitions in St. Petersburg, Moscow and other Russian cities.